Finland, which during last year's migrant crisis received a fair share of refugees, has come up with a solution to illegal migration. According to Finnish Prime Minister Juha Sipilä, the EU should make refugee-producing countries stem the flow of migrants in exchange for financial assistance. At present, Finland is struggling with illegal immigration from Somalia, Iraq and Afghanistan, from where the majority of refugees to Finland hail. According to Juha Sipilä, the EU should consider paying off the countries which contribute the largest number of illegal migrants, to make their authorities take decisive action. At the same time, Sipilä stressed Finland's readiness to take in more Syrians wounded during the civil war, Finnish newspaper Vasabladet reported. Earlier, the EU brokered a much-debated agreement with Turkey, through which the main flow of Mid-Eastern refugees to Europe had passed. Together with Mediterranean EU members' consolidated efforts to re-introduce border controls, The Turkish decision to close the country's borders for refugees heading to Europe has arguably led to marked decrease in asylum seekers' numbers. Additionally, Ankara pledged to take back all undocumented migrants that had arrived to the EU in exchange for Syrian refugees on a one-for-one basis. In return, the EU promised to provide a total of 3 billion euros ($3.2bln) to Turkey for dealing with refugees, with a possible further 3 billion-euro provision. Other promised bonuses were accelerating Turkey's EU accession process and introducing a visa freedom between Turkey and Europe. Turkey currently hosts over three million Syrian refugees. Today, however, the influx of migrants from African countries is growing. Recently, the EU reached "Turkish-styled" agreements with Niger, Nigeria, Senegal, Mali and Ethiopia. In exchange for handouts from the EU budget, the governments in these countries pledged to strengthen border controls and re-accept migrants who voluntary left Europe or had been deported. During the past two years, Finland took in a record 38,000 refugees. According to the recent data from the country's Migration Board (Migri), nearly half of all asylum seekers were refused after processing nearly 23,500 applications. 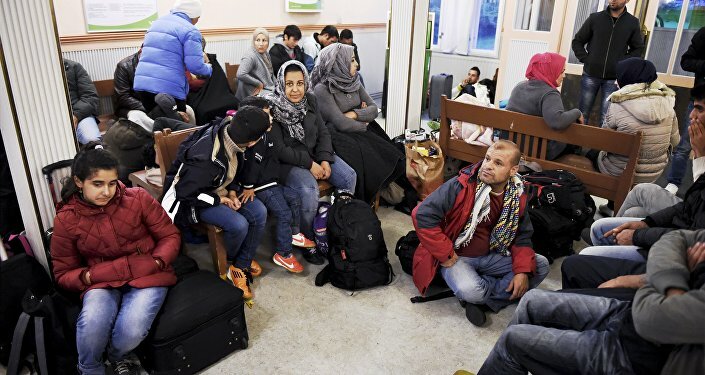 Starting from September 2015, the Finnish Migration Board has been gradually tightening asylum rules, controversially insisting on the fact that some areas of Iraq were safe for living. At present, Finland is working on a bilateral agreement with the Iraqi government on forcible return of asylum seekers, denied refugee status by the Finnish immigration authorities.